At IV Boost UK we work with a number of doctors, nutritionists and Functional Medicine practitioners to offer IV therapy as an important and complementary component of the treatment plan they have devised for their patients. Diet and good nutrition is the foundation of optimal health and wellness of both body and mind and IV therapy plays an important role in treating nutrient deficiencies or just promoting overall good health. Melissa is our in-house Functional Medicine expert. 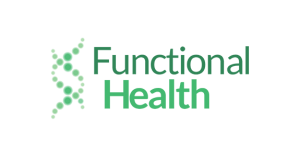 She is a registered and degree-qualified Nutritional Therapist, who worked at one of the UK’s leading health spas before joining Functional Health. She is a full member of the British Association for Applied Nutritional Therapy (BANT) and of the Complementary and Natural Healthcare Council (CNHC). A qualified Neuro Linguistic Practitioner (NLP), Melissa believes neuro-linguistic programming is an invaluable tool in altering patterns of behaviour, whether emotional or mental, that can often sabotage our attempts to make positive lifestyle changes. Melissa is also a graduate of the Institute of Functional Medicine and applies the concept of Functional Medicine to Nutritional Therapy, by analysing and testing patients before providing them with a nutrition plan that will not only benefit their immediate health and well-being, but also endeavour to prevent the development of many serious health concerns.